Melbourne IT says it has prepared applications for over 100 new generic top-level domains on behalf of clients including members of the Association of National Advertisers. Big brands from around the world have already engaged with Melbourne IT Digital Brand Services to help them apply for more than 100 new TLDs. The company agrees with the emerging industry consensus which estimates 1,000 to 1,500 applications between Thursday and April 12, with roughly two-thirds of those “dot-brand” applications. It’s an open industry secret that many companies ostensibly opposing the new gTLD program with the ANA are also preparing applications, but their level of enthusiasm is still open to question. Anecdotally, many potential dot-brand applicants appear to be under the misapprehension that a new gTLD application is necessary to defend their brands from top-level cybersquatters, which is not the case. The Australian domain registrar MelbourneIT said it has talked to 270 companies and signed contracts with 17 that want to apply for “.brand” top-level domains. The news came in the company’s “disappointing” first-half financial results announcement yesterday. According to its official report (pdf), MelbourneIT has received 230 expressions of interest and has inked deals with 14, but managing director Theo Hnarkis reportedly told analysts the higher numbers. 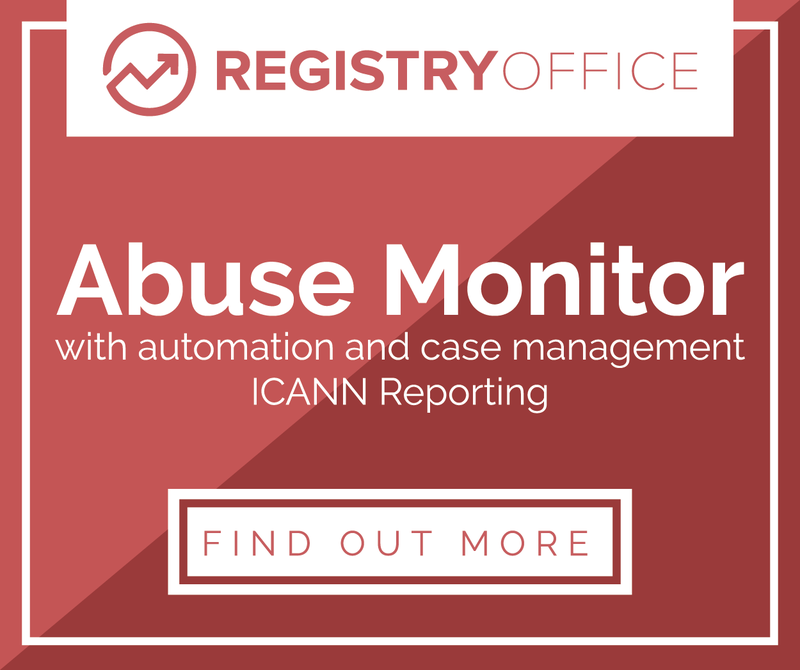 The company is charging clients between AUD 45,000 ($47,000) and AUD 75,000 ($79,000) to handle the ICANN application process. MelbourneIT’s preferred partner for back-end registry services is VeriSign, so the clients it signs are likely to become recurring revenue streams for VeriSign if their applications are successful. Will any of the hundreds of .brand gTLDs expected to be approved by ICANN in its first round of new top-level domains resolve without dots? Will users be able to simply type in the name of the brand they’re looking for into their browser’s address bar and have it resolve to the company’s official site? Probably not, according to the experts. ICANN’s Applicant Guidebook answers this question, but you need to know where to look, and to know a little about DNS records, to figure it out what it actually says. Section 2.2.3.3 of the Guidebook (page 75 of the May 30 PDF) provides a list of the permissible contents of a new gTLD zone. Specifically not allowed are A and AAAA records, which browsers need in order to find web sites using IPv4 and IPv6 respectively. Applicants may be able to obtain A/AAAA records if they specifically ask for them, but this is very likely to trigger an Extended Evaluation and a Registry Services Review, according to Davies and the Guidebook. There’s an additional $50,000 fee for a Registry Services Review, with no guarantee of success. It will also add potentially months to the application’s processing time. Applicants that successfully obtain A/AAAA records, enabling dotless domains, would face a far greater problem than ICANN’s rules – endpoint software probably won’t support them. You can type IP addresses, host names, domain names or search terms into browser address bars, and dots are one of the ways the software figures out you’re looking for a domain. You can test this today. There are already a handful of top-level domains, probably fewer than 20 and all ccTLDs, that have implemented an A record at the TLD level. On some platforms, you may be able to get URLs such as http://io and http://ac to work. They don’t revolve on any Windows 7 browser I’ve tested (Firefox/IE/Chrome), but I’d be interested in hearing your experiences, if you’d be so good as to leave a comment below. Given the lack of software support, it may be a poor use of time and resources to fight ICANN for a dotless gTLD that most internet users won’t even be able to resolve. According to a recent CircleID article by Paul Vixie, chairman of the Internet Systems Consortium, many browsers treat domains without dots as local resources. Only if the browser’s “DNS search list” cannot find a local resource matching the dotless TLD will it then go out to the internet to look for it. In some organizations, a local resource may have been configured which matches a new gTLD. There may be a local server called “mail” for example, which could clash with a .mail gTLD. A recent article in The Register quoted security people fretting about what would happen if a malicious hacker somehow persuaded ICANN to approve a string such as .localhost or .lan. These worries appear to be largely reliant on an erroneous belief that getting your hands on a gTLD is going to be as simple as registering a domain name. In reality, there’s going to be months of technical evaluation – conducted in a fish-bowl, subject to public comment, applicant background checks and, in the case of a request for A records, the aforementioned Registry Services Review – before a gTLD is approved. If everything works according to plan, security problems will be highlighted by this process and any gTLDs that would break the internet will be caught and rejected. So it seems very unlikely that we’re going to see domains without dots hitting the web any time soon. Domain names are designed to help people find you. Dotless domains today will not do that, even if ICANN does approve them. 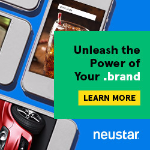 Neustar has become the first domain name registry to publicly reveal its own “.brand” top-level domain application, announcing this week a .neustar bid. The company is one of many offering registry services to brand owners that want to run their own custom TLD, so it makes marketing sense for Neustar to put its money where its mouth is. But it may also run the risk of diluting its .biz brand (such as it is), depending on whether or not it plans to migrate its primary site, neustar.biz, entirely to .neustar. Neustar is one of only a handful of companies to announce .brand bids. Canon and Hitachi are the two best-known, but others including IBM and Nokia have expressed serious interest. ICANN has previously predicted as many as 200 .brand bids in the first round, which begins January 12, 2012.